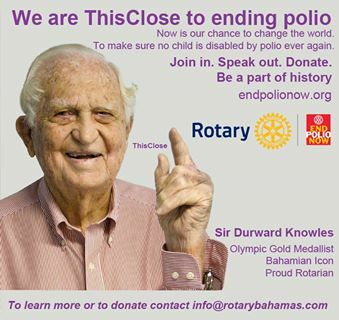 END POLIO NOW! We are this close! This month is significant for many reasons, because it is the month that we celebrate Family month and also focus on our cause “Disease Prevention & Treatment”. It also represents a time of great celebration that many will not be able to afford and challenges our belief in giving and generousity. Bahamas Striping Returns bearing gifts. Our beloved Rotary provides us with an array of resources that ensures that our service to humanity, not only makes a difference but inspires those that we serve. In September, Rotarians place emphasis on the importance and value of basic education, literacy and our young generation. 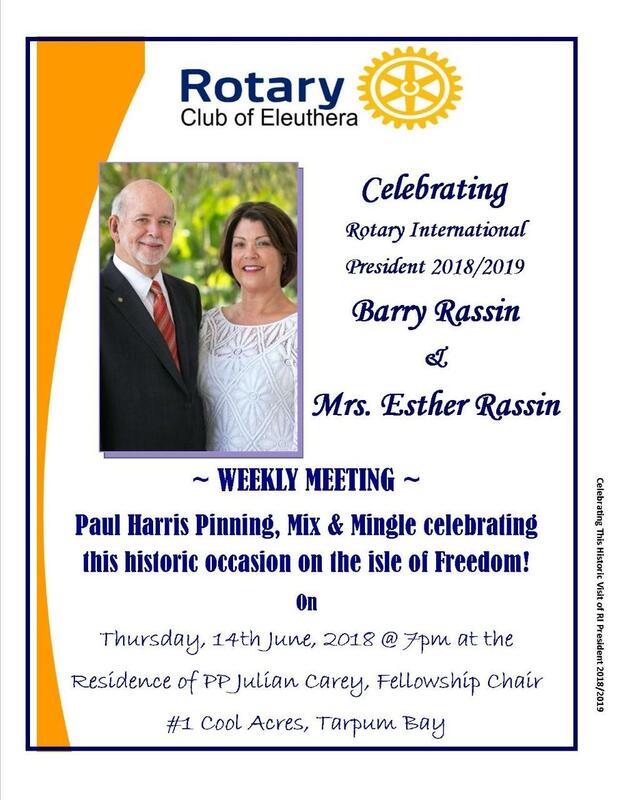 ROTARY CLUB OF ELEUTHERA PRE RI CONVENTION CELEBRATION IN HONOUR OF RIPE BARRY & ESTHER RASSIN! Our weekly meeting will commence celebrations with a FRESH CONCH SALAD TRUCK and BACKYARD BARBECUE! Come celebrate with us! 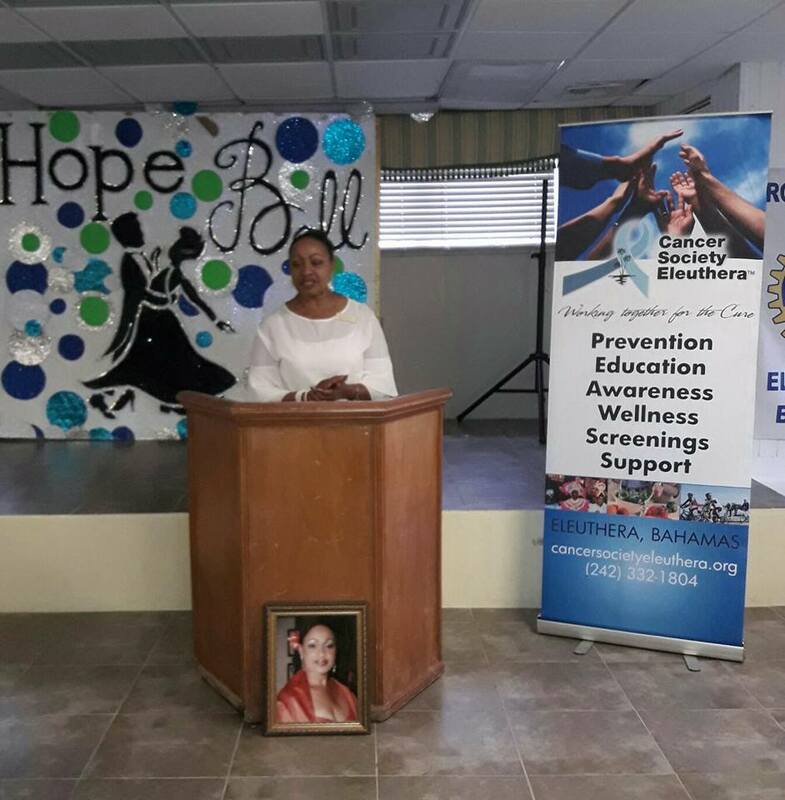 ROTARY PRESIDENT Sherrin Cooper INDUCTED AS PRESIDENT OF THE ELEUTHERA CANCER SOCIETY. 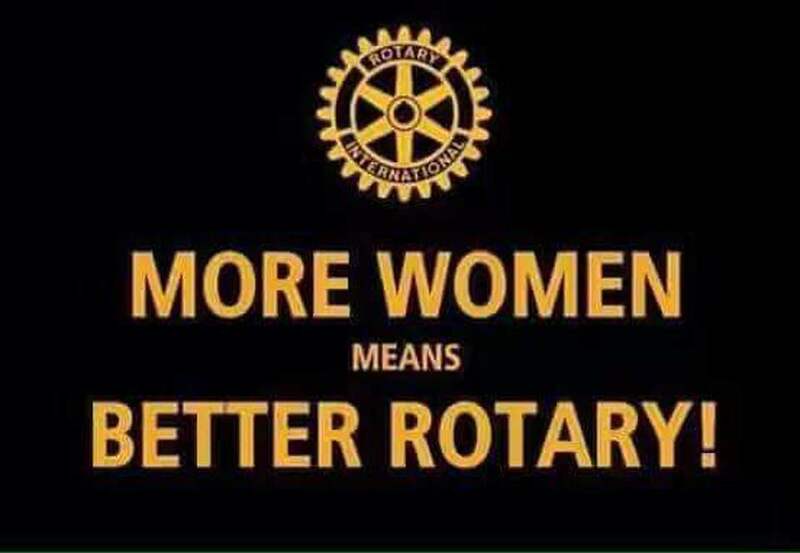 ROTARIANS PN SUSAN CULMER, PP Juanita Pinder AND PP Jacquie Gibson WILL ALSO SERVE ON HER BOARD OF DIRECTORS. 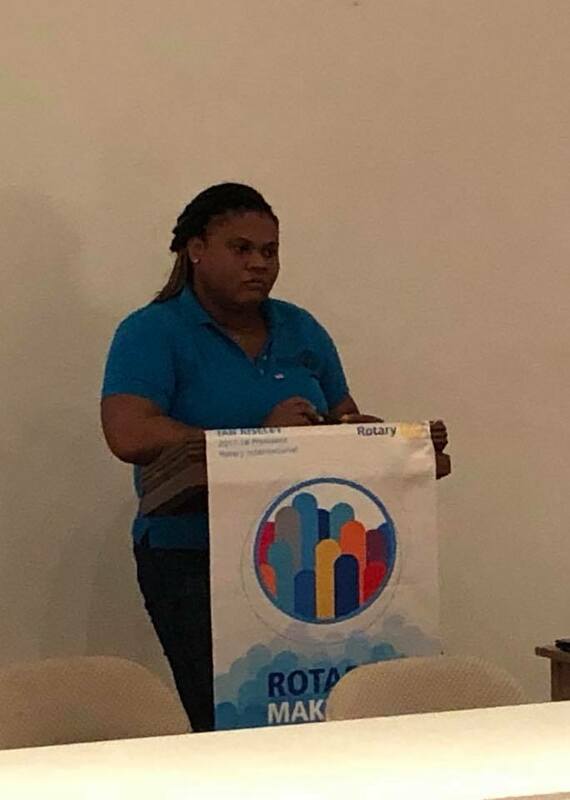 Rotaract Club of Eleuthera President Ashley Hall presented A Year in Review of her Club and highlighted projects and ongoing partnership with the Rotary Club of Eleuthera and other community partners. 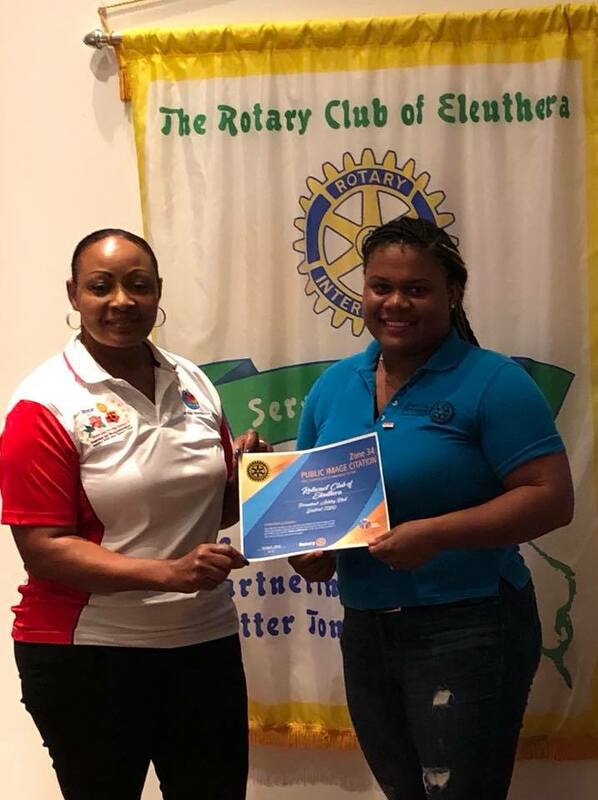 In photo President Sherrin Cooper presents the Zone 34 Public Image Citation to President Ashley. 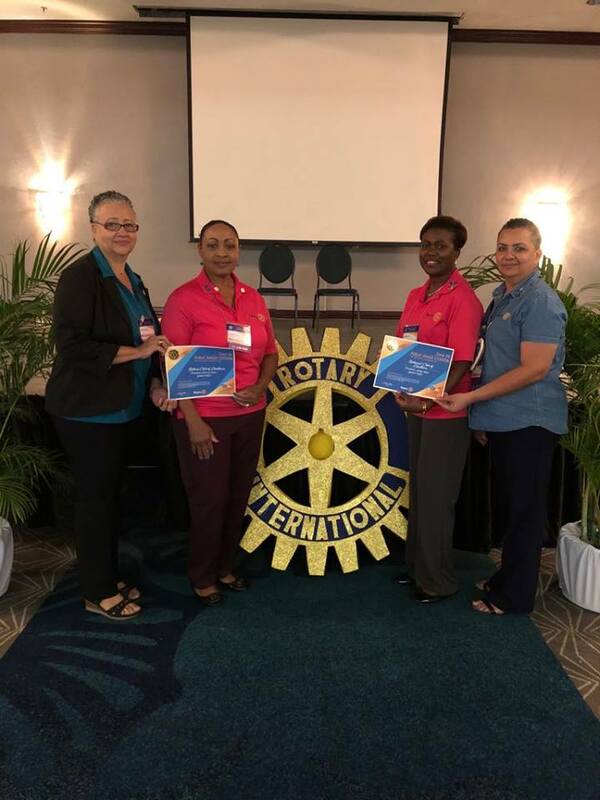 TOP HONOURS FOR ELEUTHERA AT DISTRICT CONFERENCE! 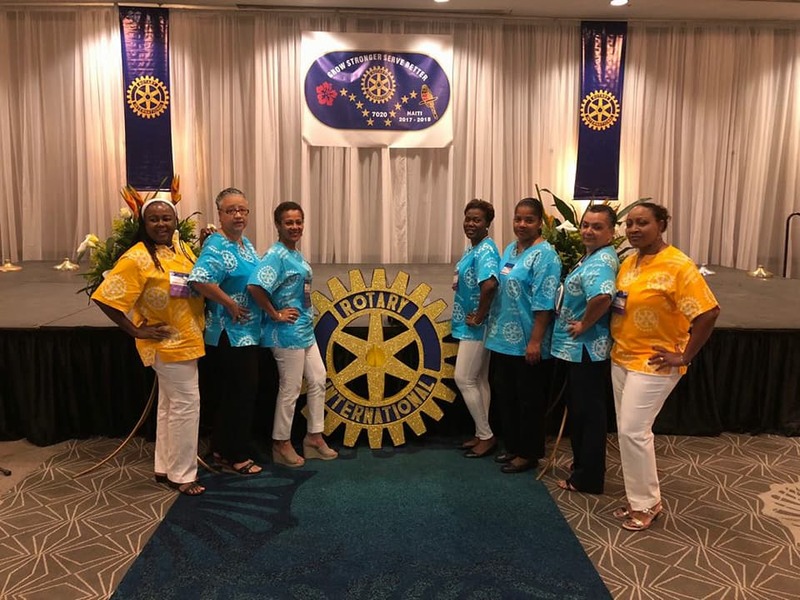 ELEUTHERA PROUDLY WEARS THE DISTRICT GOVERNOR SUPER CLUB AWARD (COTM) FOR DISTRICT 7020 IN THE MED. CLUB CATEGORY! 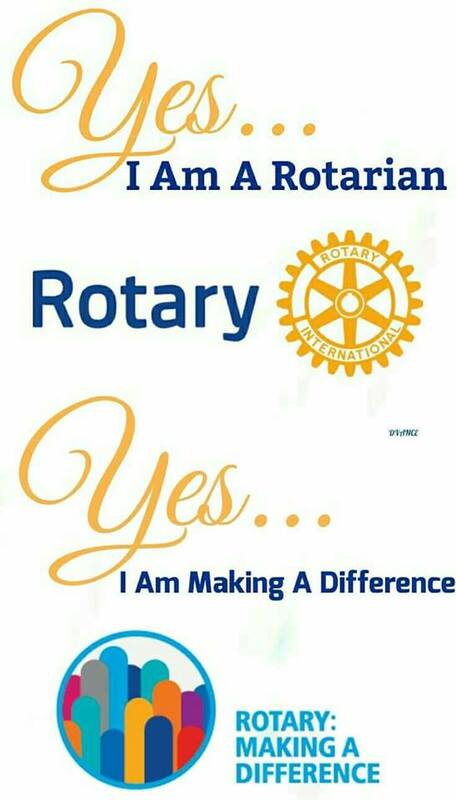 Additionally, our ROTAFAM also celebrates two Zone 34 Public Image Citations (Rotary and Rotaract). 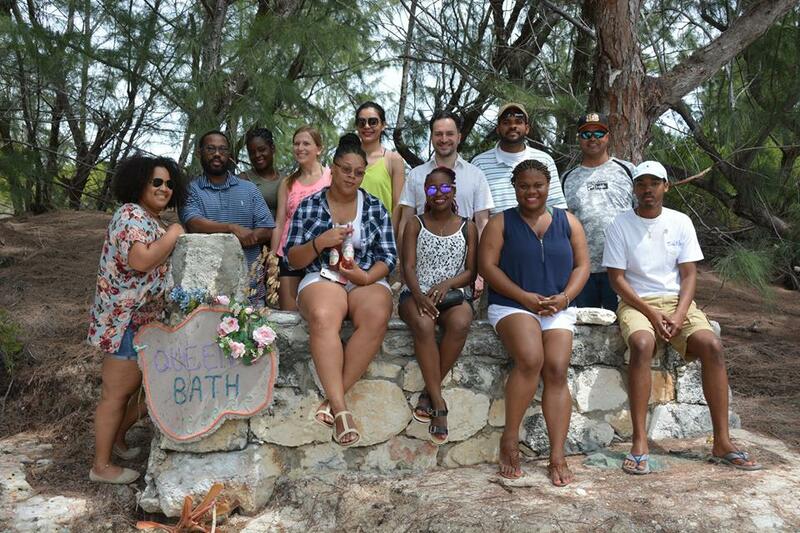 Well done Rotarians and Rotaractors on sharing our Eleuthera Rotary stories with the world. Kudos to our Presidents Sherrin Cooper and Ashley Hall on their extraordinary leadership! About 50 Youth Club Members, Rotarians and parents participate the first annual Rotary Club Road to Peace Walk/Run. I was such an exciting event!. 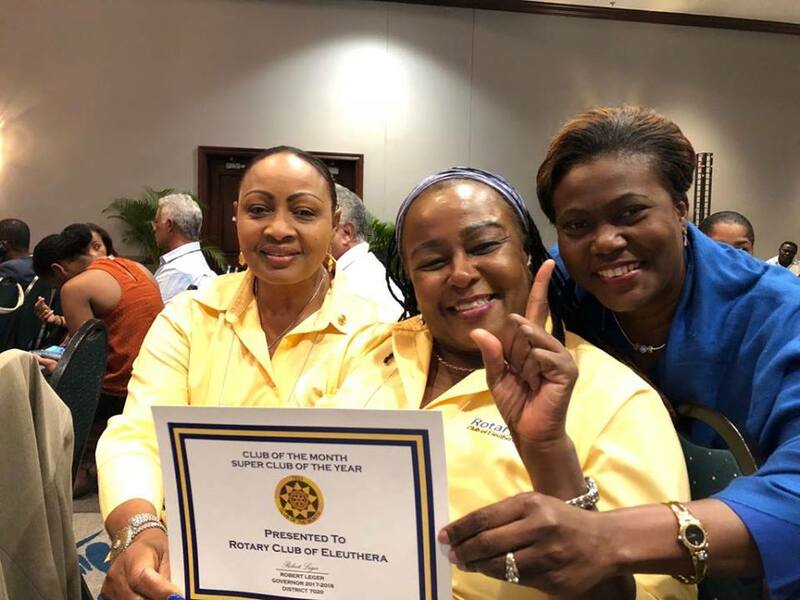 It began with exercise/warm-ups and presentation of our two newest EarlyAct Clubs (Emma Cooper and Governor's Harbour Primary Schools) with their club banners by RCE Director of youth Rotarian Juanita Pinder and Sherrin Cooper. The energetic group departed Police Headquarters for the Governor's Harbour Primary school promptly at 6:30am. 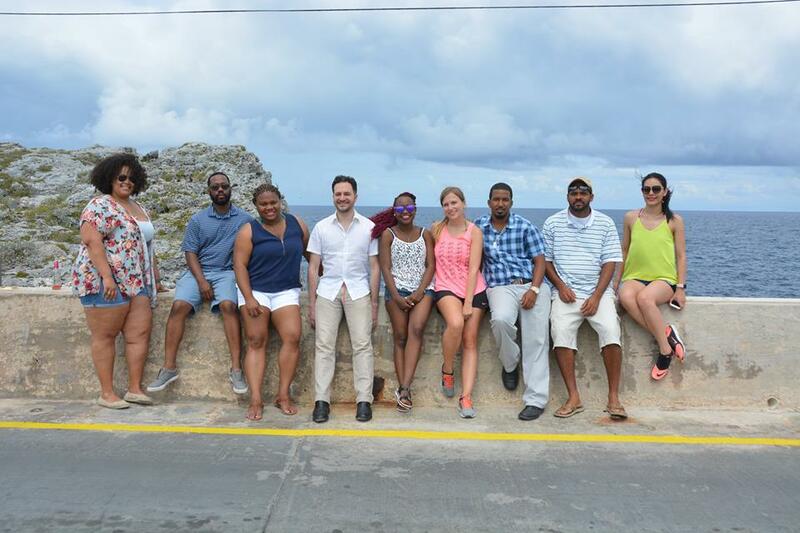 The Rotaract Club of Eleuthera hosted its first Rotaract Roundtrip where they invited Rotaractors from all over the world to spend 7 days on the island of Eleuthera. 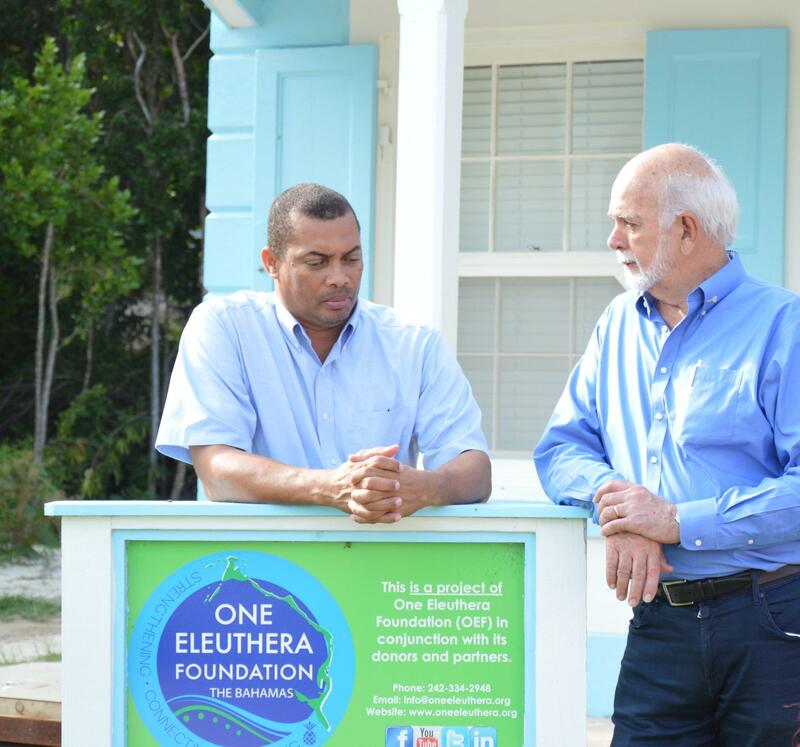 This kind of exchange was the first of its kind for the Bahamas as well as Rotary District (7020) at large. While the trip was meant to be touristic, the guest Rotaractors were still given the opportunity to foster the Rotary spirit by participating in a community service project in Tarpum Bay as well as volunteering at The Centre for Training and Innovation by rendering their service in their respective areas of expertise. 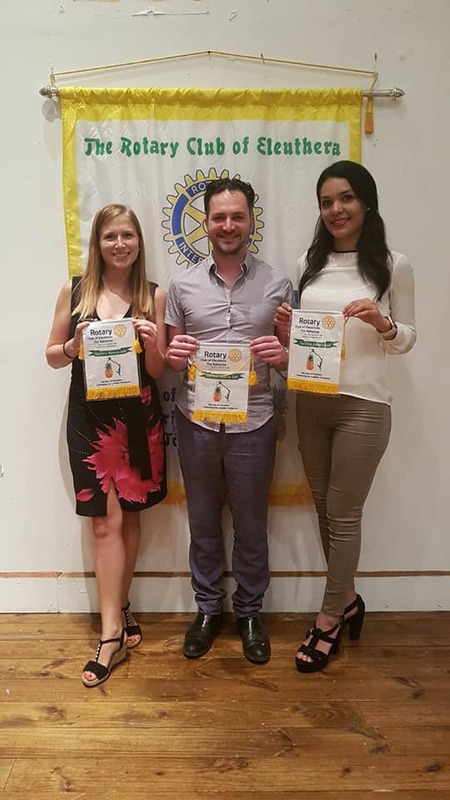 Alexandre, Franziska, Areli and host Rotaractors topped off the week with a celebration at Rotarian Julian Carey’s (the king of fellowship) home, where at evening’s end they were gifted with handmade local gifts to take back home to their respective countries. 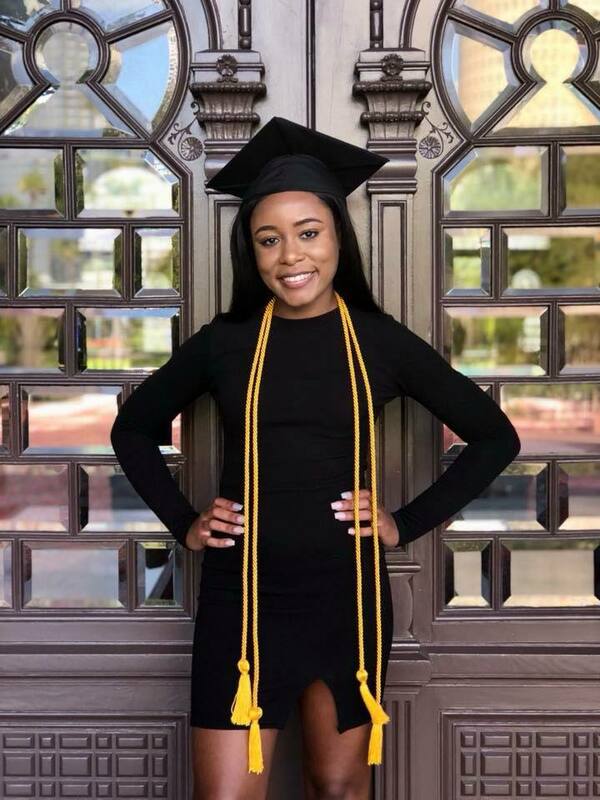 Rotary Club of Eleuthera extends congratulations to Past President of the Interact Club of Central Eleuthera High School, Tiara Bethel on her graduation from the University of Tampa. We are so proud of her! 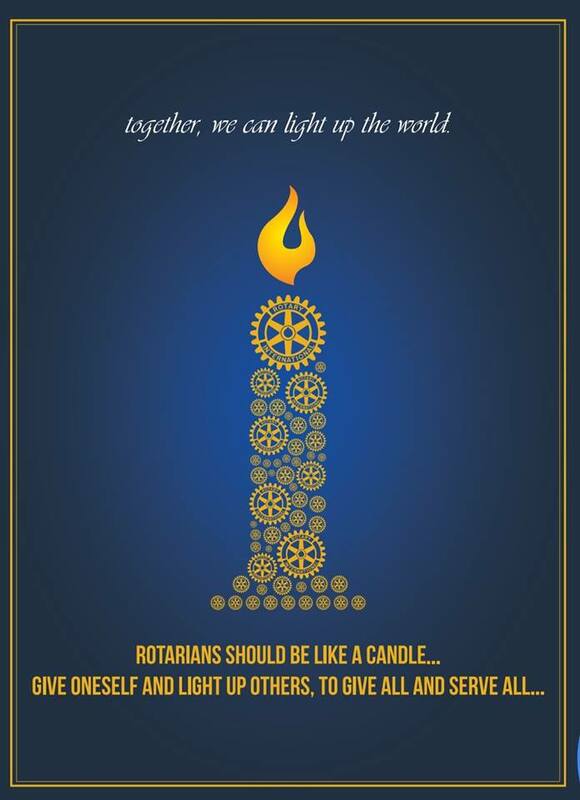 ROTARY - LIGHT UP THE WORLD! 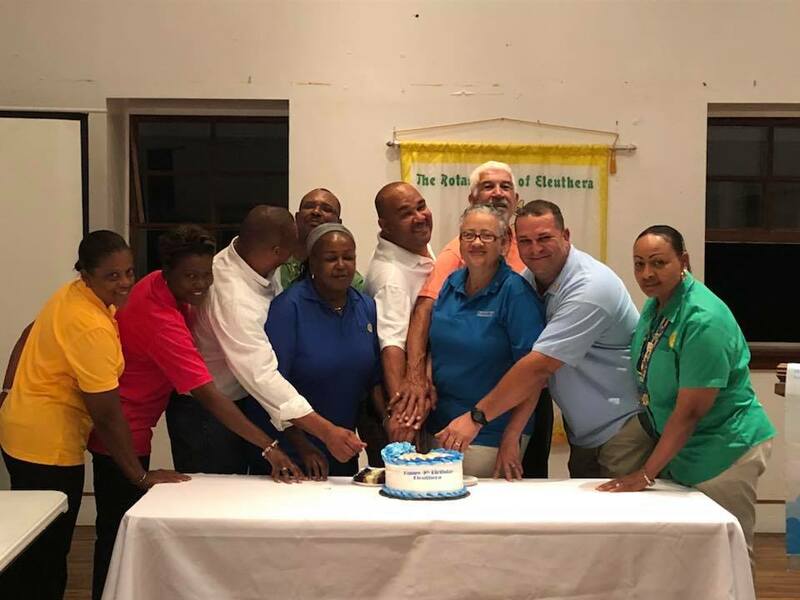 HAPPY BIRTHDAY ROTARY CLUB OF ELEUTHERA!! 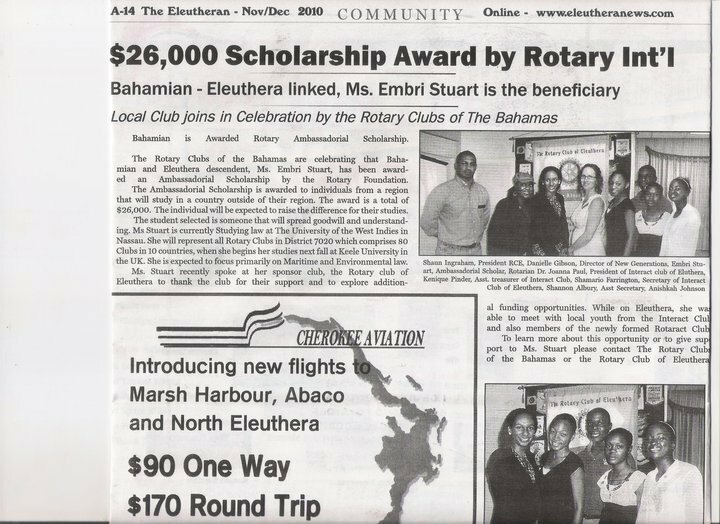 The Rotary Club of Eleuthera (RCE), under the leadership of President Shaun Ingraham, was chartered 8th April, 2009. 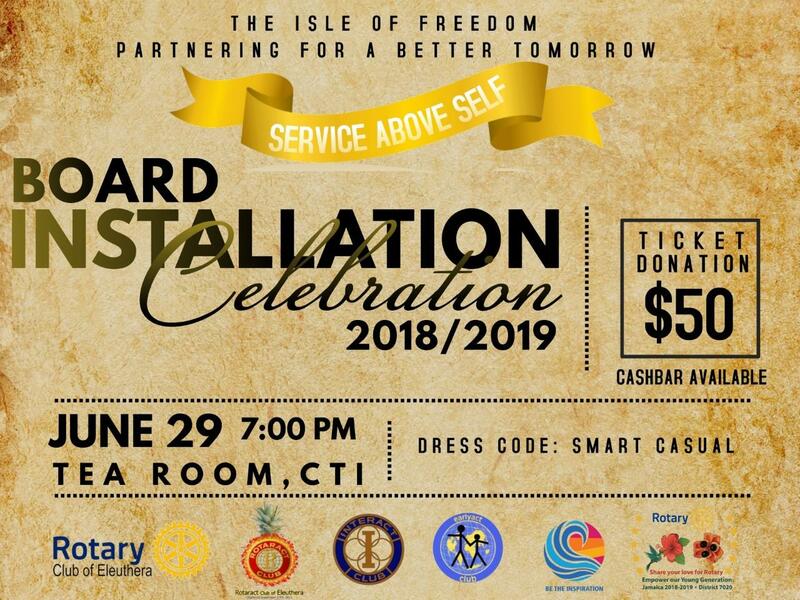 The charter banquet was staged in grand style on Friday, 24th July, 2009 at Workers House, Governor’s Harbour, Eleuthera. 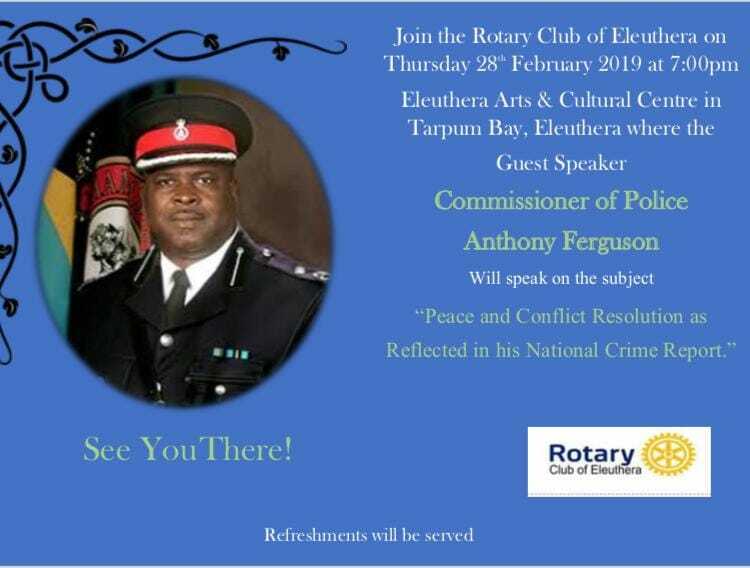 The Guest Speaker was Past District Governor, Errol Alberga of Jamaica. Our Charter The evening was grand! We also celebrate our Provisional President Sandra who was elected by the club to serve as the club President for the period 2018-2019. 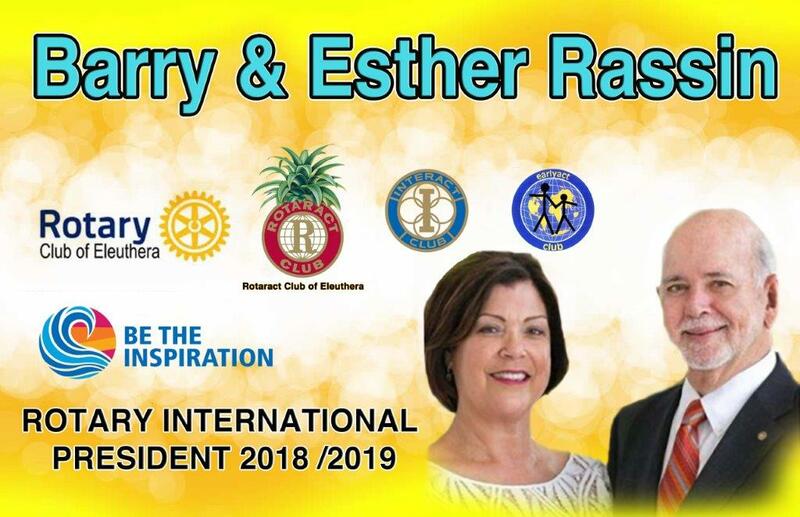 We were so pleased welcome Rotarians Dr. Michael Schulte, Past President of the Rotary Club of Luedenscheid Germany, and Dr. Viola Stenser-Schulte, Past President of the Rotary Club of Luedenscheld-Zeppelin. They are Past Presidents of the oldest and youngest Rotary Clubs in their city of Luedenscheid (respectively). 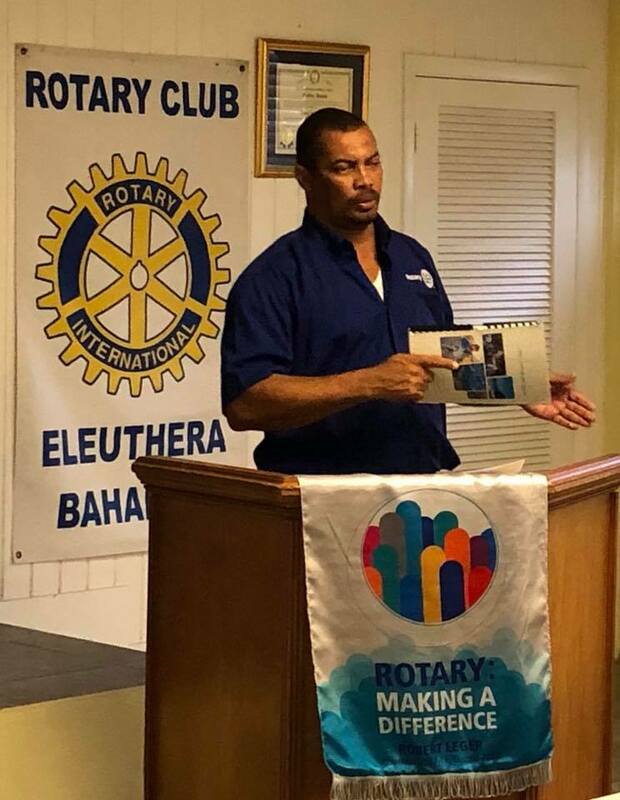 The arrived on the island of Eleuthera on Monday 2nd April, 2018 bearing a gift of a portable Ultra Sound Machine as a result of a grant from their Rotary District 1900. 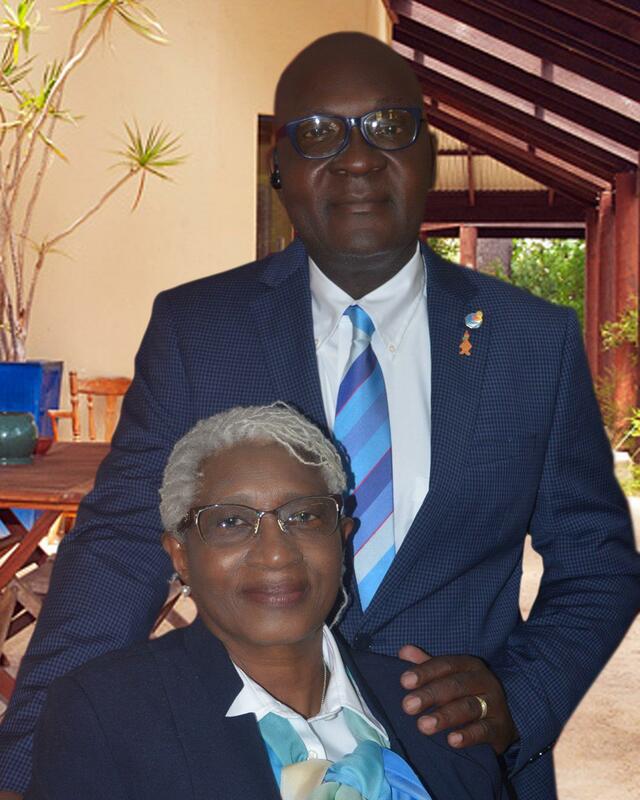 They were met at the North Eleuthera International Airport by newly elected Vice President of the Eleuthera Cancer Society Ms. Suzette Kemp. 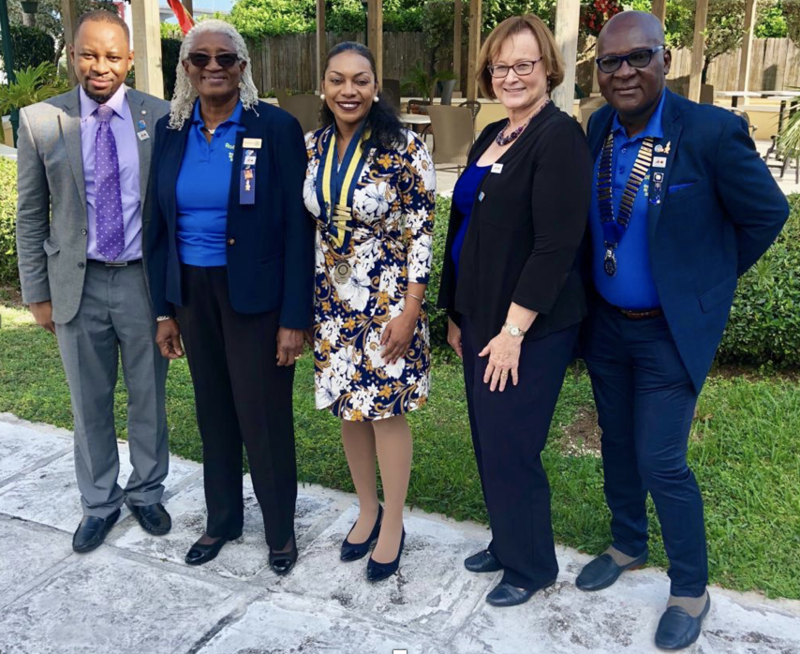 The welcoming party also included Rotary club of Eleuthera President Sherrin Cooper along with Past President Jacqueline Gibson. These two awesome German Rotarians visited our club during the summer of 2016. 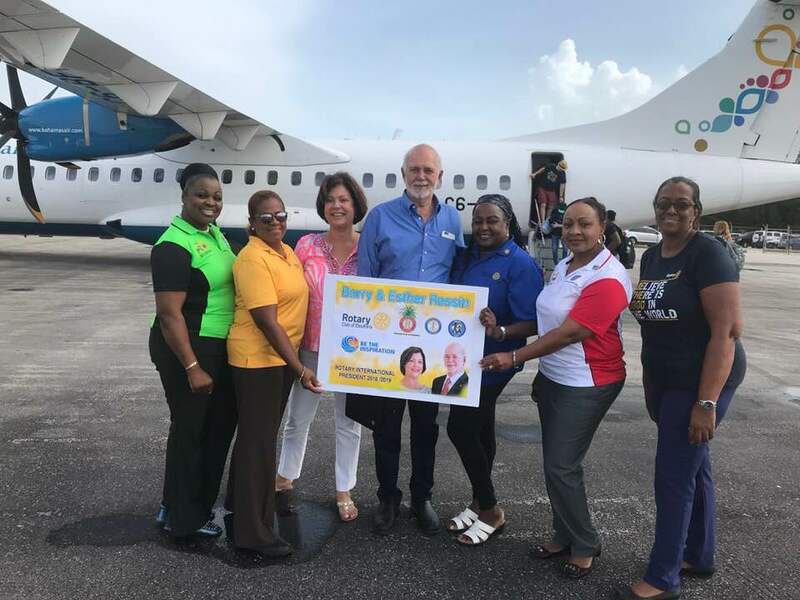 After hearing our needs, Rotarian Viola promised that she will seek into assisting the Imaging Program for the island with an Ultra Sound Machine! she delivered! 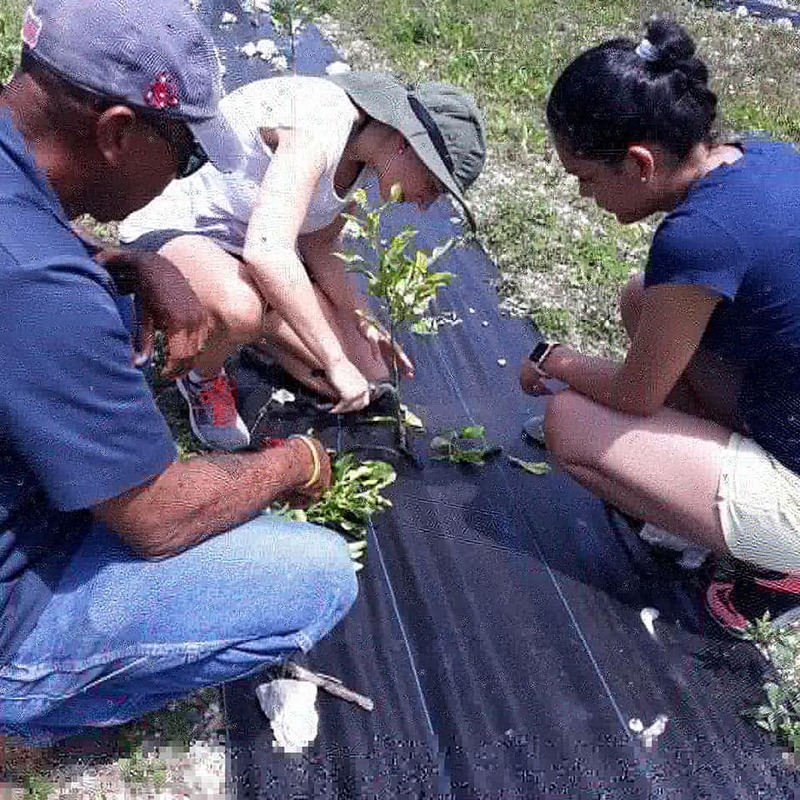 For almost 100 years, The Rotary Foundation has lived its motto: Doing Good in the World. See the global impact of the Foundation’s financial support. 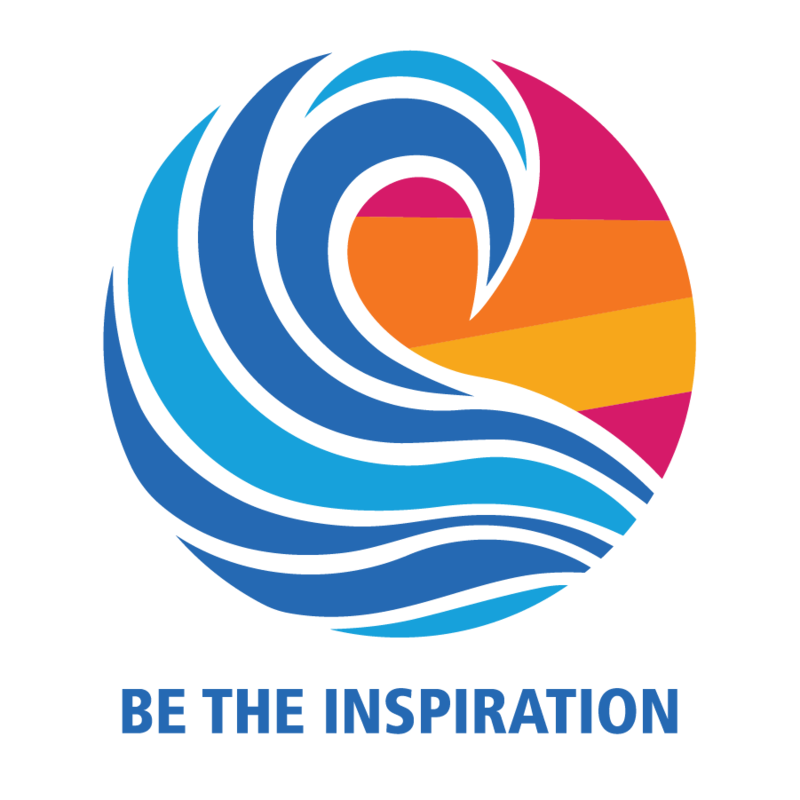 2018-2019 Theme: "Be The Inspiration"